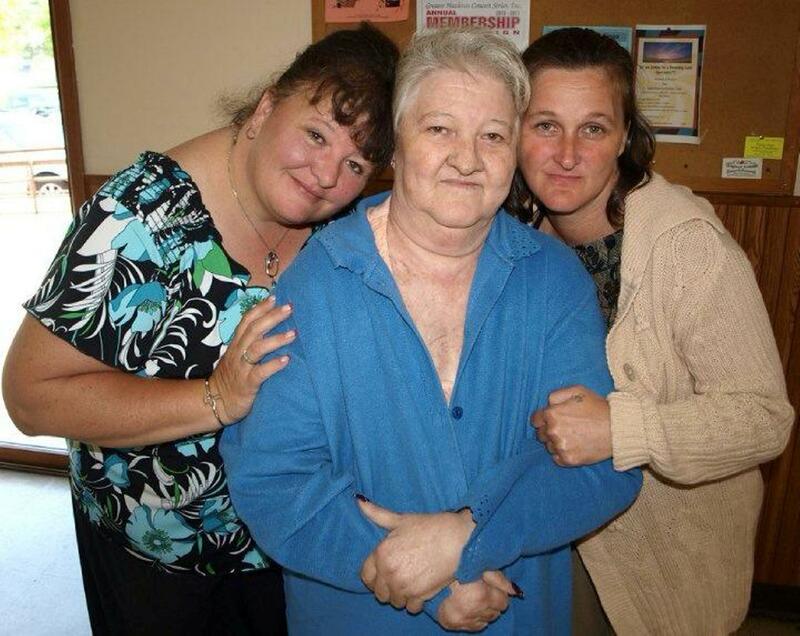 Pictured are Shelly Bonser, the late Cecilia “Jackie” Jones, and Michelle Mehallic. Victims, heroes and military veterans during and following the terror attacks of September 11, 2001 will be honored this evening (Friday, September 11, 2015) during Tamaqua’s Annual 9/11 Remembrance Service. The free event will be held at 6 PM at the South Ward Playground, located at the intersection of Penn and Oak Street. The service will also pay tribute to the late Cecilia “Jackie” Jones, one of Tamaqua’s remembrance service’s founders. Jackie, 78, along with her daughters Michelle Mehallic and Shelly Bonser, chose to create the annual event for the one year anniversary of the terror attacks. Jackie, also known as “Nanny Jones” served as the guiding force and president of the playground association for decades. She passed away in March of a collapsed lung and heart failure. The public is welcome and encouraged to bring lawn chairs. The service will begin at 6 p.m. The playground is located at Penn and Oak Streets in Tamaqua. Former Tamaqua Mayor Richard Hadesty will again serve as master of ceremonies, continuing a 13-year tradition. Pastor Ed Noftz of New Life Assembly Church will provide the invocation. Scheduled participants also include Major Sharon Whispell of the Tamaqua Salvation Army, George Haldeman of the South Ward Fire Company, vocalist Dolinda Linkhorst, state Rep. Jerry Knowles, Tamaqua Council President Micah Gursky, Schuylkill County District Attorney Christine Holman, Schuylkill County Commissioners George Halcovage Jr. and Gary Hess, District Magistrate Stephen Bayer, Tamaqua Mayor Chris Morrison, the American Legion Riders, Andrew Leibenguth, Emma Weaver and Nick Boyle. Becky Hartranft and D.J. Fredericks will play taps. Click HERE to view a related Times News story.